Sauna is along the camping area. It has an antechamber where you can watch TV. There are two showers in the washing room. And the steam room, which can hold maximum 4 person. 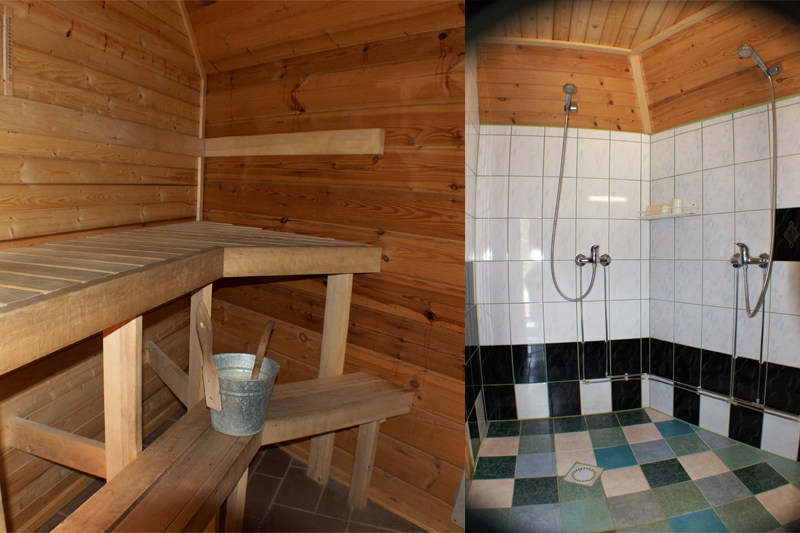 The sauna is heated with wood. But campers can also just use a shower. We heat up the sauna for you whenever you like. You just come and enjoy!